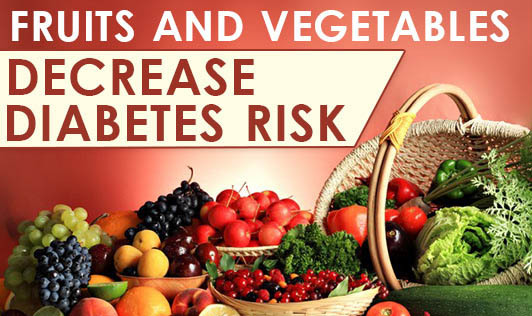 In a recent 12-year study, people who ate the most fruits and vegetables had a 74% decreased risk of getting diabetes compared to those who ate the least. Researchers found that the higher a person`s vitamin C blood level, the lower the risk of getting diabetes. People who had the highest blood levels of vitamin C were eating, on average, 5-6 servings of fruits and vegetables daily. Note: The vitamin C that decreased the diabetes risk was only gained from eating fruits and vegetables, not from taking supplements. For best health, eat a wide variety of fresh fruits and vegetables daily. • Helps in controlling blood pressure. • Helps in boosting the immune system. • Helps in preventing constipation.